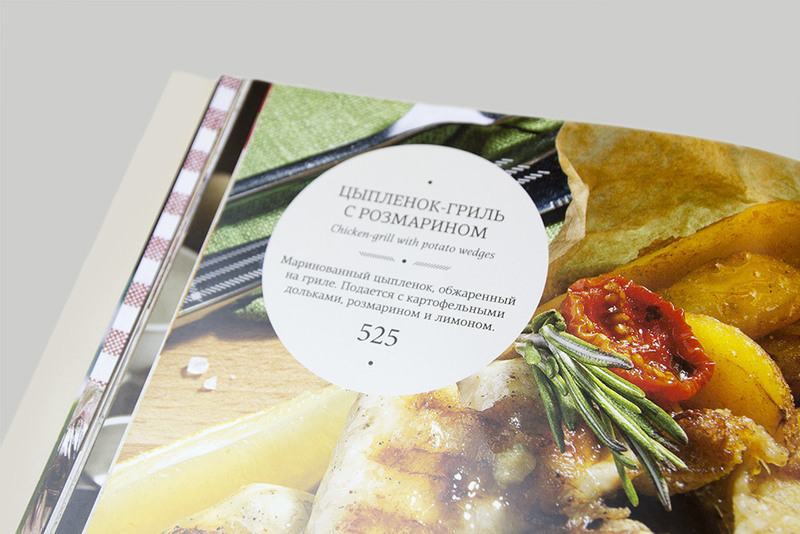 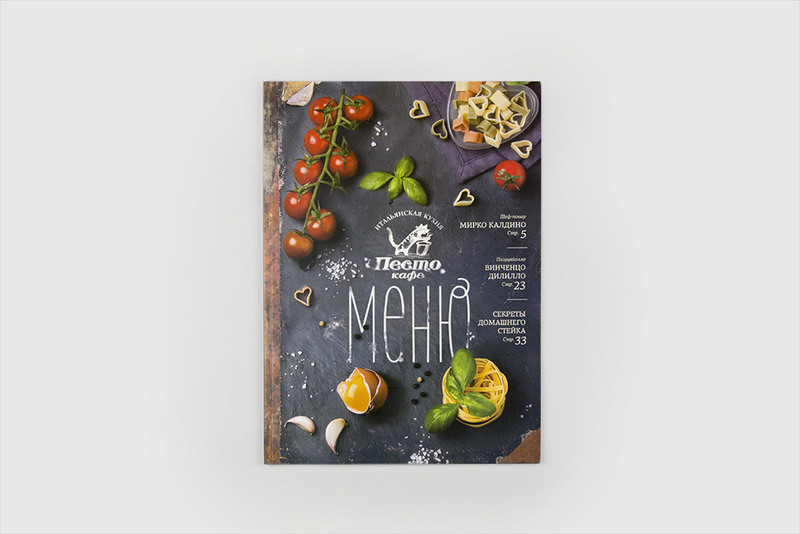 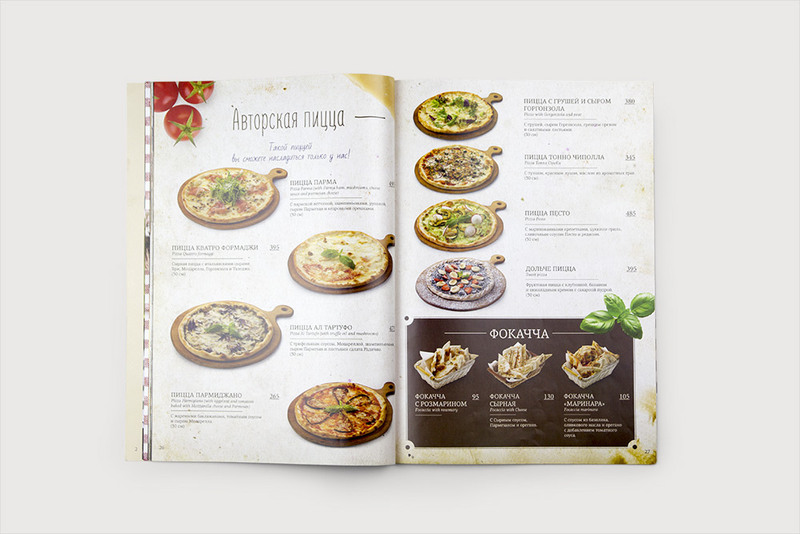 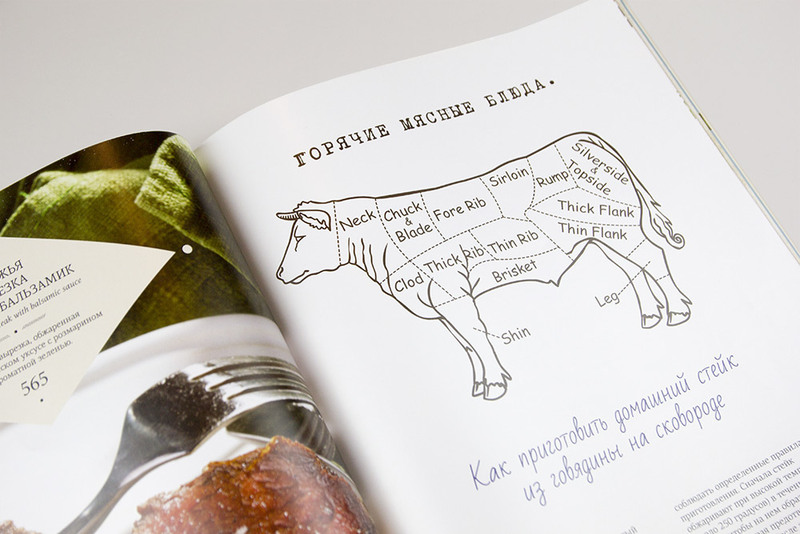 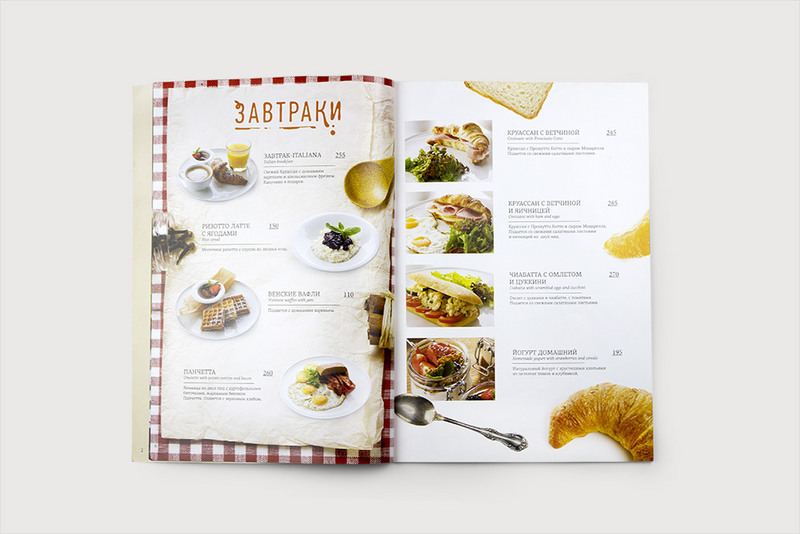 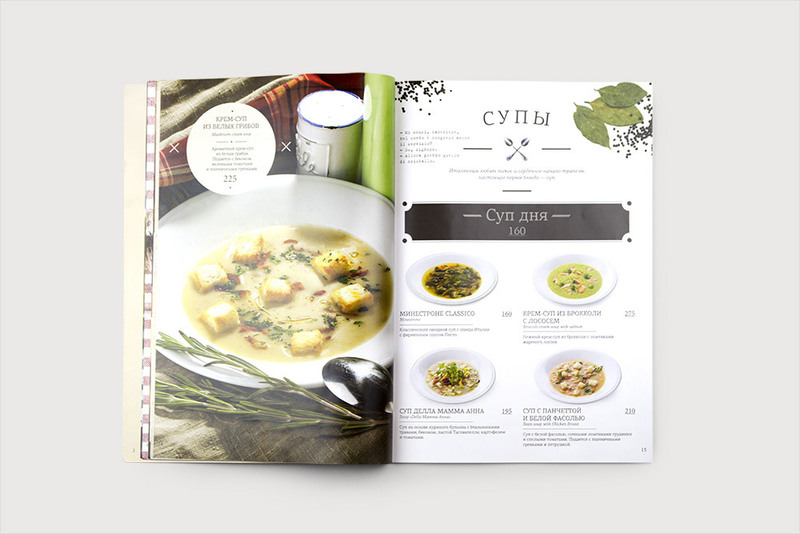 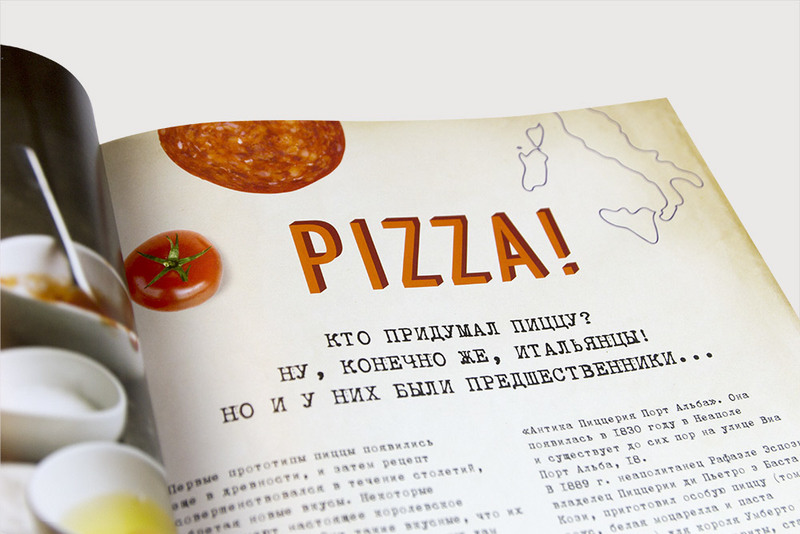 Design of a menu for an Italian restaurant "Pesto Cafe" placed in Moscow. 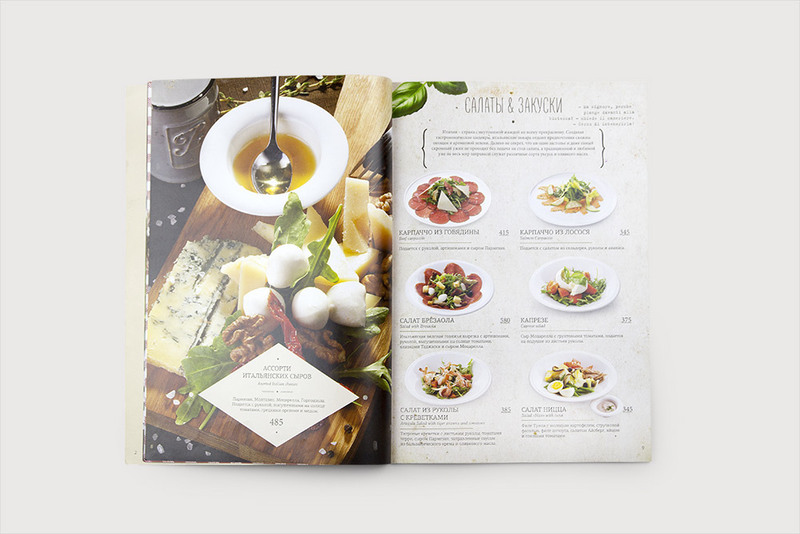 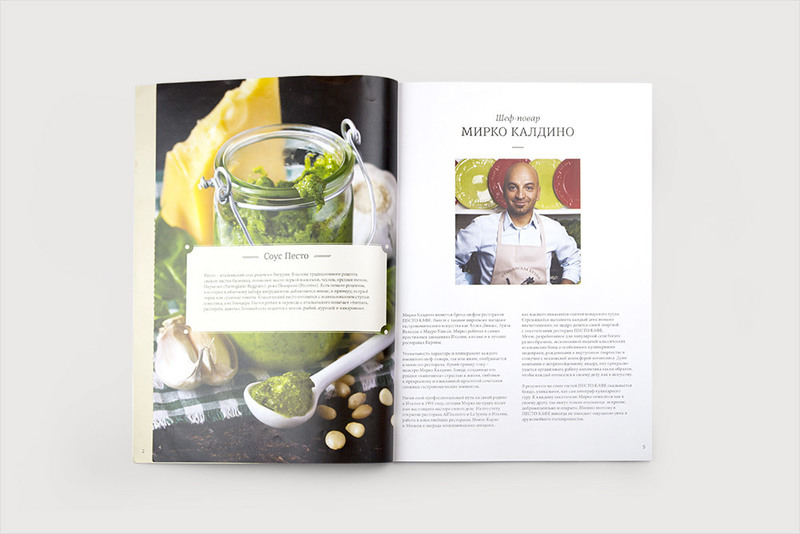 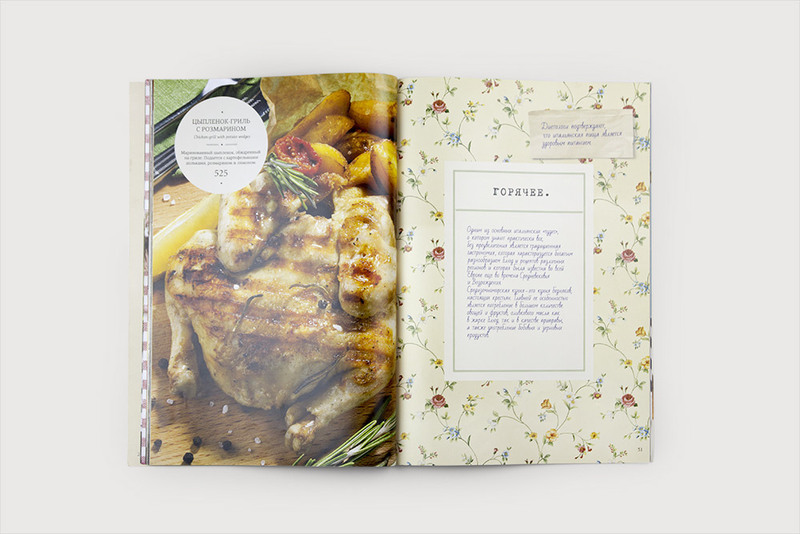 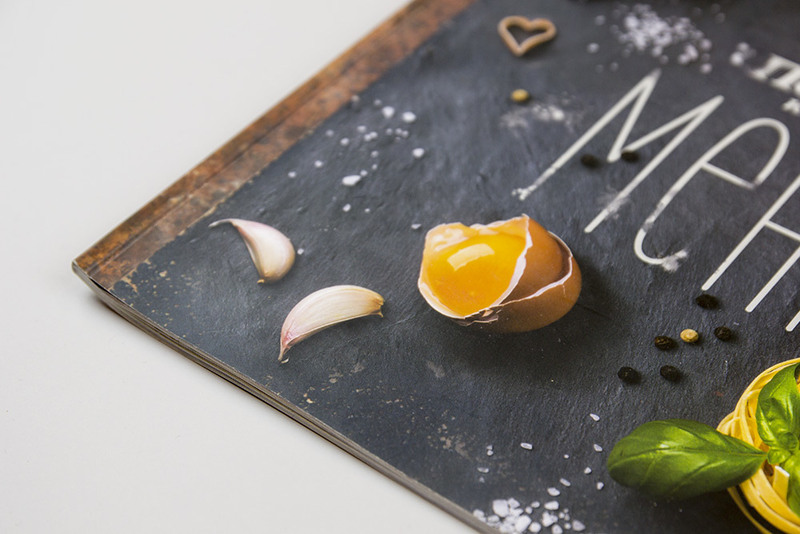 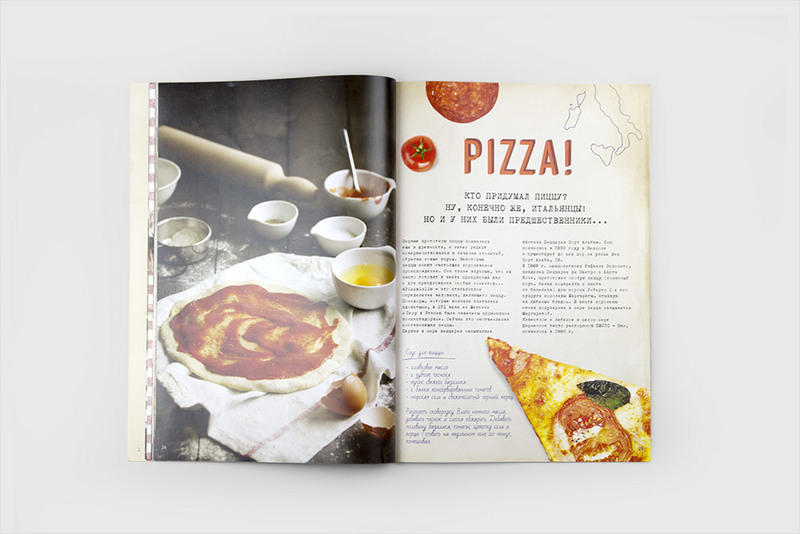 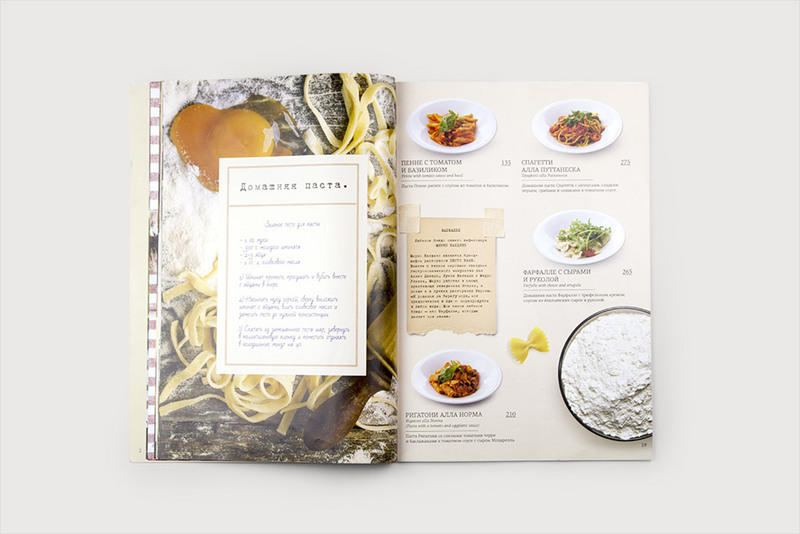 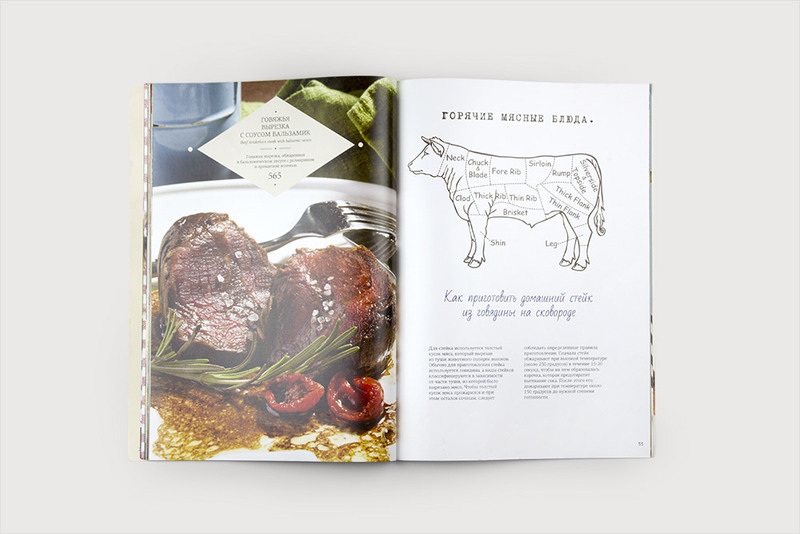 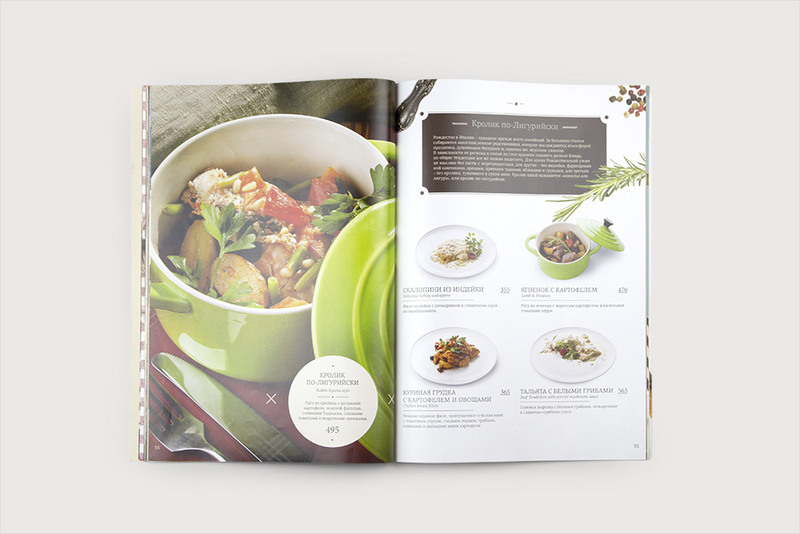 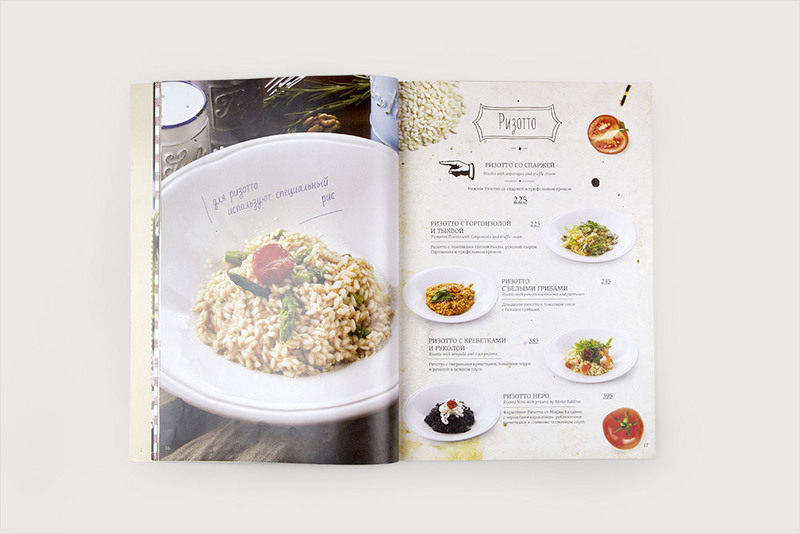 The menu is like a magazine that shows dishes, information about the recipes of Italian cuisine and Italian traditions. 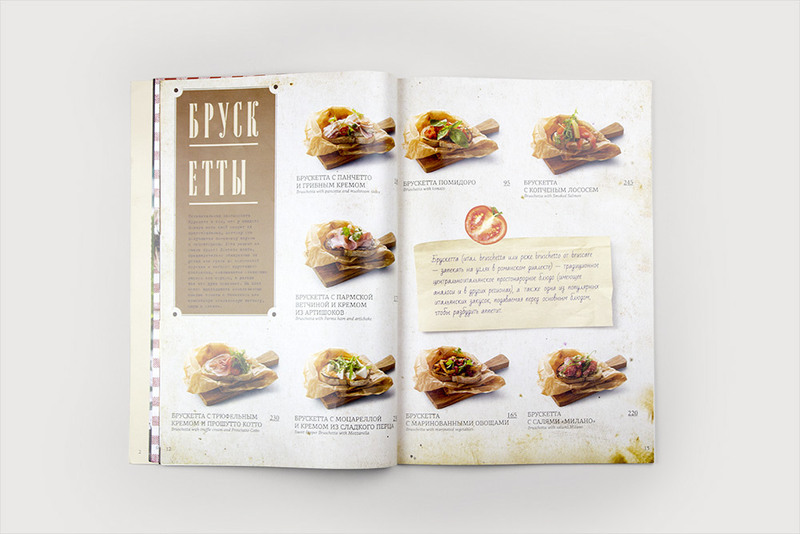 Made for G-sign agency.